My favorite character from Fantastic Beasts and Where To Find Them didn't physically appear in the movie at all. From a single photograph and a couple of references, I fell in love with (spoiler alert) Newt Scamander's past love, Leta Lestrange. The surprising cameo from Zoe Kravitz as someone connected to the infamous Bellatrix Lestrange captured my imagination more than almost anything else in the film, but it also made me very afraid. Any obsessed Harry Potter fan can tell you that Newt ultimately marries Porpentina Goldstein, so that duo's happiness is something of a foregone conclusion. As such, the introduction of Leta as a footnote in Newt's romantic history adds a sour taste to the soon-to-be canon Newt-Tina 'ship. Leta, as a character and as a black woman, deserves better than to be the villain in Newt's love story. Not long into the film, Fantastic Beasts establishes a few facts about Newt and Leta. They were close friends in school, with their bond based on the fact that they were both outsiders and misfits at Hogwarts. Yet according to Queenie, Leta was a "taker," while Newt needs a "giver." Newt says that he has no idea what Leta is like now and if she's changed in any way from when he knew her, but there's no question that he's changed, at least. He's implied to now be ill-suited to a girl like Leta. However, Newt still keeps a picture of her in his trunk, aka his safe haven where he feels the most comfortable, happy, and himself. So, clearly, there are a lot of feelings still there, regardless of how much time has passed. It's simply a fact, though, that this romantic entanglement isn't going to end in Leta's favor. But that's not what concerns me — it's the treatment of her character that I need to be done right. 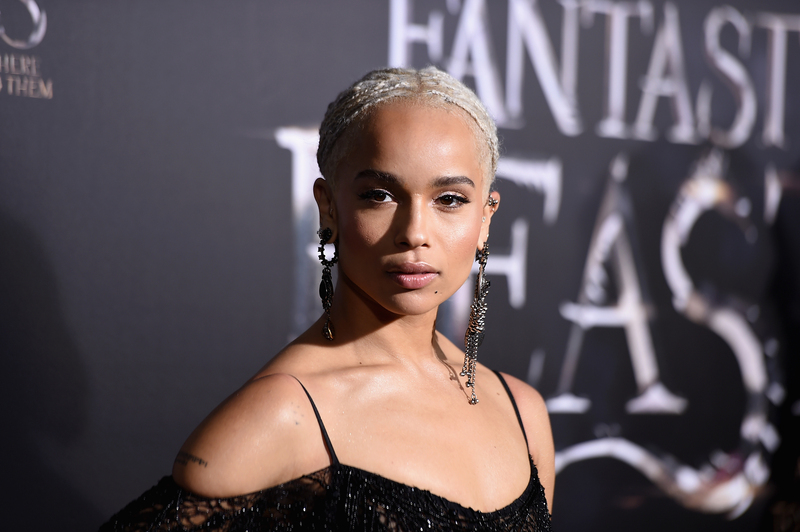 In exploring the complicated emotions between Newt and Leta, and Newt and Tina, there's a chance that Fantastic Beasts might end up vilifying a black woman in order to support a romance between two white characters, especially because, as CinemaBlend reports, director David Yates has promised that we'll be seeing more of Leta going forward in Beasts' sequels. We don't know exactly what role Leta will play in future installments, but Yates' description of her role, that "Newt is absolutely still in love with her, so she has a kind of power over him," doesn't strike me as wholly positive. From a romantic standpoint, Leta has already been described in negative terms as the taker and the one who seemingly broke Newt's heart. Though the director calls her a "tragic figure," the fact that she is said to have power over Newt because of his feelings for her seems like an early allusion to the fact that, when it comes to Newt's lingering feelings for Leta and his blossoming feelings for Tina, there's yet more heartbreak for him to suffer at the former's hands before he ends up in the latter's arms. But Leta deserves so much more than to be a discarded pawn in Newt and Tina's endgame romance during these upcoming movies. First of all, she is one of only two black women in the entire film, and a more compelling character than the other, MACUSA President Seraphina Picquery. I was initially excited when I saw that the MACUSA had a black female president even during the 1920s, but Picquery was not quite what I was hoping for. She comes across as incompetent, yelling at Tina for not telling her something that she had yelled at Tina for trying to tell her. It's Newt and his creatures who take down Grindelwald, not Picquery and the force of Aurors with her. And don't get me started on her decision to uphold the law and mind-wipe Jacob Kowalski. My disappointment with Picquery was part of why I was pleasantly surprised when another woman who looked like me appeared in the form of Leta. As a character, she has so much potential. It all starts with her being a Lestrange, a family who, in the original Harry Potter books, were all Death Eaters and were related to the Black family via Bellatrix Lestrange née Black. And yet she's described as being a misfit at school, despite the fact that, as we saw with Draco Malfoy and his ilk, Slytherins of a feather all seem to stick together. Unless you're like Sirius Black, who, despite coming from a purist family traditionally sorted into Slytherin, was sorted into Gryffindor and burned off his family tapestry, being a Pureblood seems to give you built-in friends who all think like you do. Even if Leta wasn't a social outcast at Hogwarts, though, it doesn't fit with the Lestrange image as we know it for her to end up close to someone like Newt Scamander. He's from a family not explicitly confirmed to be Pureblood and certainly not a member of the Sacred 28, who is gentle, socially awkward, and without any of the species bias that plagues other wizards when it comes to either magical creatures or No-Majs. The Lestranges would likely support Grindelwald, while Newt clearly and emphatically doesn't. Since Leta is one of the former and yet a romantic interest for the latter, she thus becomes a morally complex character with a lot of potential layers. And her unique role in the film as a love interest of Newt's is fascinating. Leta is a black woman in whom Newt is romantically interested during a period in United States history when race relations were, shall we say, poor. Fantastic Beasts is set in America in 1926, a time when membership in the Ku Klux Klan was estimated to be between three to eight million people, when anti-miscegenation laws prohibited blacks and whites from marrying, and when the study and popularity of eugenics spread the belief that whites were genetically superior to blacks. It was also the same year that the Ku Klux Klan would march on Washington, DC — for the second time. On Newt's side of the pond, discrimination and segregation weren't particularly rampant yet, and certainly not mandated by law as in America. However, it was during this time period in Britain that the Eugenics Society was still publishing The Eugenics Review (In fact, a July 1926 article in the Review proposed the "treatment of the congenitally unfit and of convicts by sterilization"). So the fact that Newt has romantic feelings for a black woman is notable for this time period, as is the fact that Americans Queenie Goldstein, Tina Goldstein, and especially No-Maj Kowalski show no adverse reaction to Leta's race. Add that to that the knowledge that Newt, an actual cinnamon roll who refers to himself as his creatures' "mommy," has managed to fall for a member of the infamous Lestrange family, and I am intrigued and worried about Leta all at once. I care tremendously about Leta's treatment in the Beasts movies. I see a lot of myself in Leta, and not just because we're both black. I've been criticized by friends in the past for taking more than I give. I have held the hearts of good men in my hands and not appreciated them the way that I should have when I had them. I'm confused and complicated, though I would shy away from calling myself damaged or tragic. With such a blank slate on which to project my ideas of who Leta is, I've painted a picture of a woman who is just like me: a woman who might not be perfect, but who is deserving of an enriching narrative. A woman who is, perhaps, even deserving of the love of a Newt Scamander. But Leta and Newt don't have to end up together for me to be happy. He has changed, and I would hope that she has, too. All I want from the films is for Leta to be given justice as a character. All I want is for her to not simply be the umpteenth Lestrange to run to the current dark lord's side as a side villain, but to be a more complex and morally grey (or, hey, morally righteous) character than that. All I want from the films is to see another heroic black woman, more competent than Seraphina Picquery before her, who parts on better terms with the man whose heart she clearly broke. I've been a Harry Potter fan for over a decade, and the Fantastic Beasts films have a chance to give black people more multifaceted and major representation than the minor characters we saw in the books or the eight films. This is my formal plea for the franchise to not waste that chance just to make a black woman nothing more, in the end, than a footnote in a white love story. Give her a chance to change the world, the way she's changed mine.